We keep it simple at Hank’s. 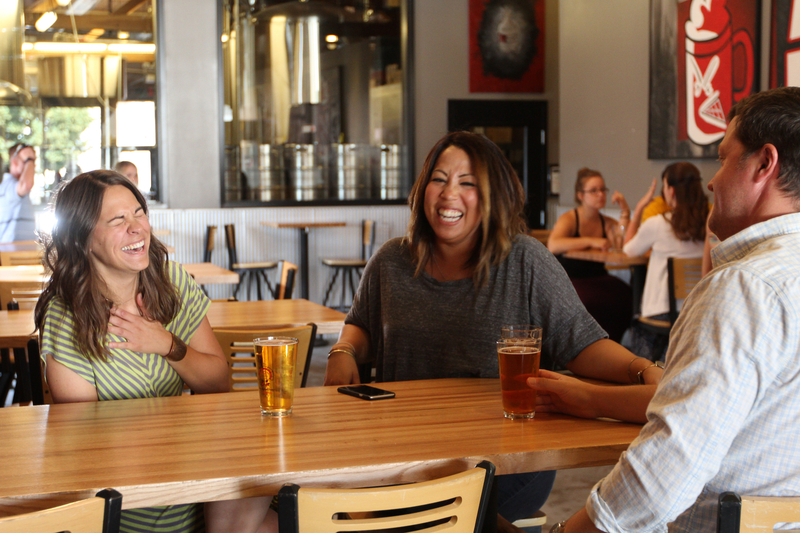 Our beer is made with water sourced from the largest free-flowing river in the country, yeast grown in-house, and Montana-grown barley malted in Great Falls. 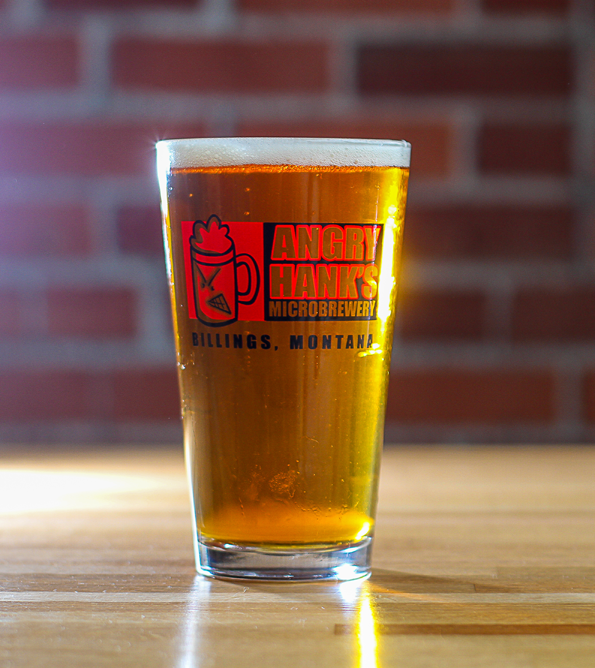 Hank’s hops come from Washington’s Yakima Valley. Everything is done in-house, from the milling to the packaging. State Law Says: Three (3) pints per person per day, no service after 8PM. 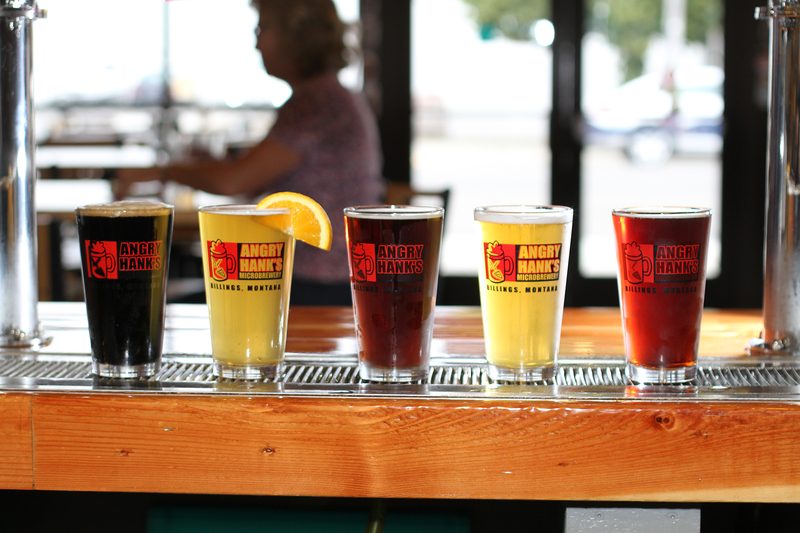 Legal drinking age in Montana and the U.S. is 21. Thanks for helping us meet our legal obligations. 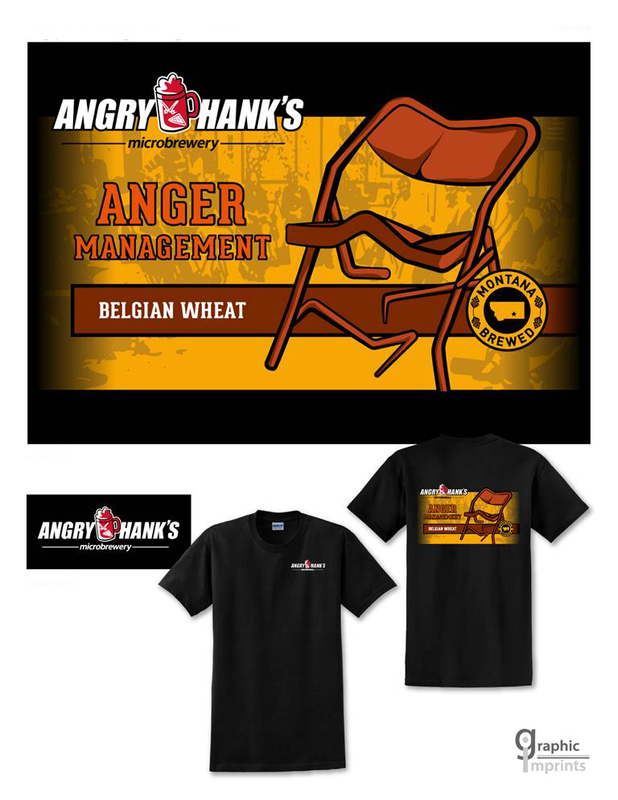 Angry Hank’s got its name from a family friend, the grumpy one that most people have hanging around—the one who is always telling you how to do things, when to do them, and why. He just wanted you to grow up right, like that grandfather who had a gruff way of letting you know he cared. 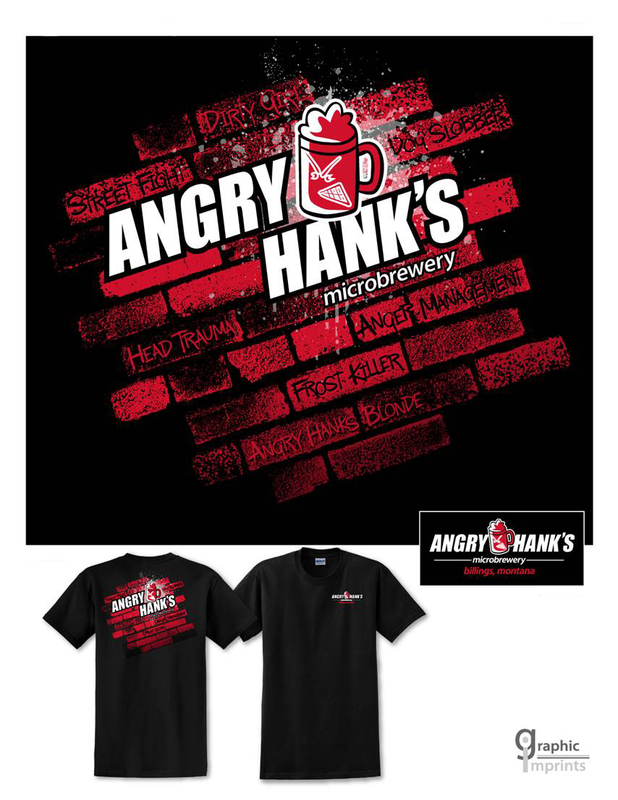 Angry Hank’s was founded in an old gas station in Billings, Montana. The idea was simple: create a fun place to simply have a beer. We were tired of everyone staring at TVs. Have a beer and talk to one another. 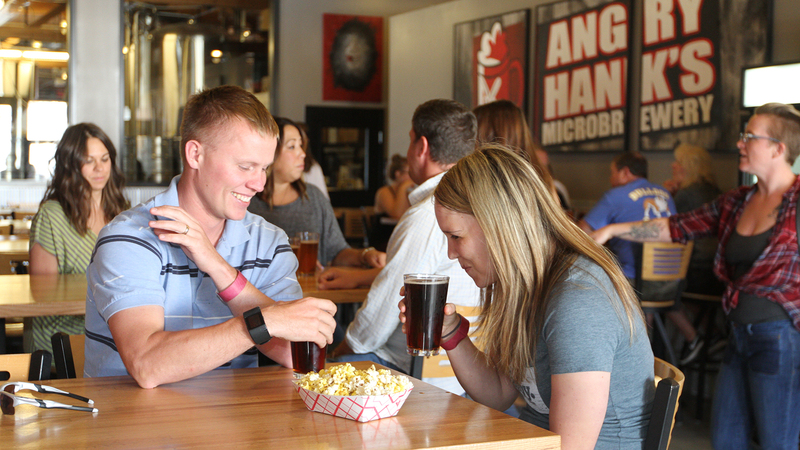 Here’s a place to reconnect with the person sitting across from you and here’s a beer to help you. As the business grew, we looked to expand. Eight blocks away, a 1916 carriage house sat vacant, and the building was purchased in July 2011 and remodeled into a brewing facility and taproom. We opened a second location June 2012. 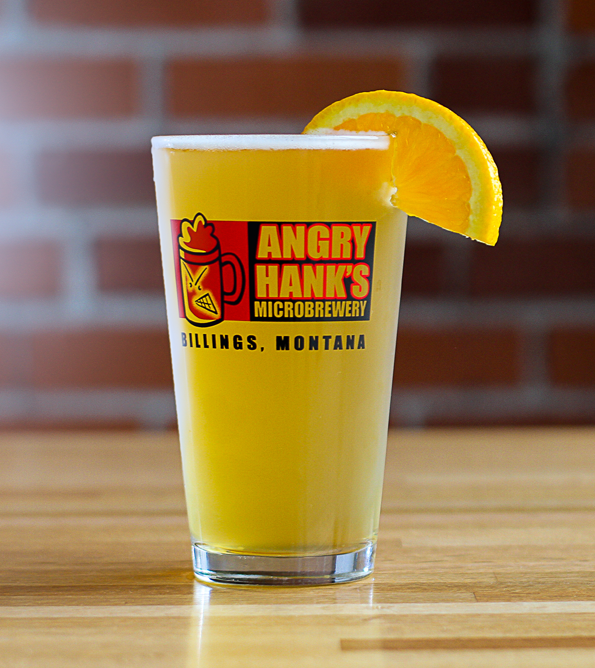 Angry Hank’s centralized operations at the carriage house in the center of downtown Billings. The move increased the ability to focus on brewing. Hank’s began to can Street Fight and Anger Management in the fall of 2014. There is no mission. We don’t want to take over the world. 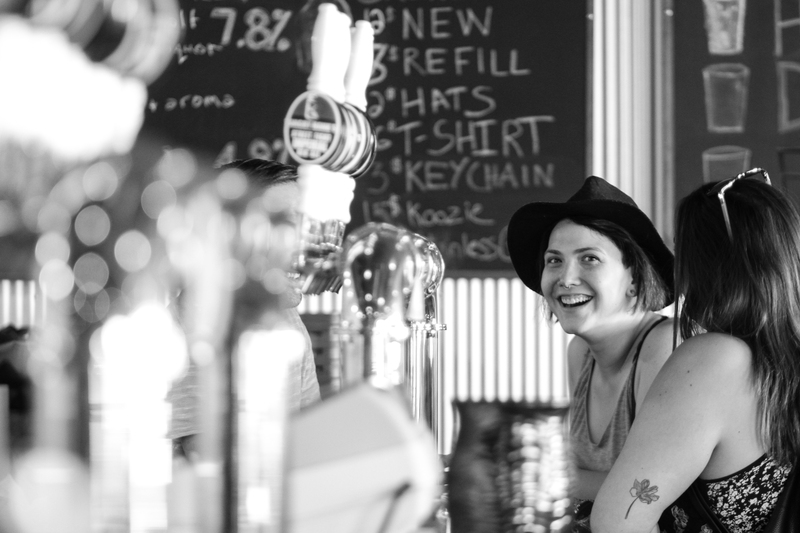 We just want to have a fun job and a fun place to have a pint. 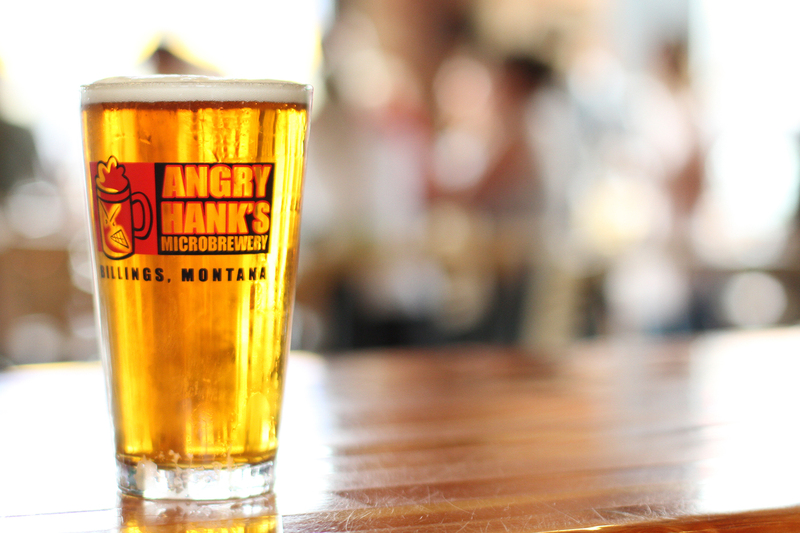 While keeping taproom patrons happy with hand-crafted brews, Angry Hank’s beer is distributed to bars and restaurants across south-central Montana. Our lightest beer. Gold in color with a bready, light fruity flavor. Its low alcohol content and restrained bitterness make this a great session beer. 4% alcohol. An American take on a Belgian style wheat beer. Made with barley, wheat, and oats. It is infused with coriander and Curacao orange peel. This is a hazy, light-bodied, slightly tangy ale with low hop bitterness. 4% alcohol. A rich copper color with a dry palate. The sharp bitterness and hop flavor and aroma come from cascade and centennial hops. This beer is definitely not for the faint of heart. 6% alcohol. 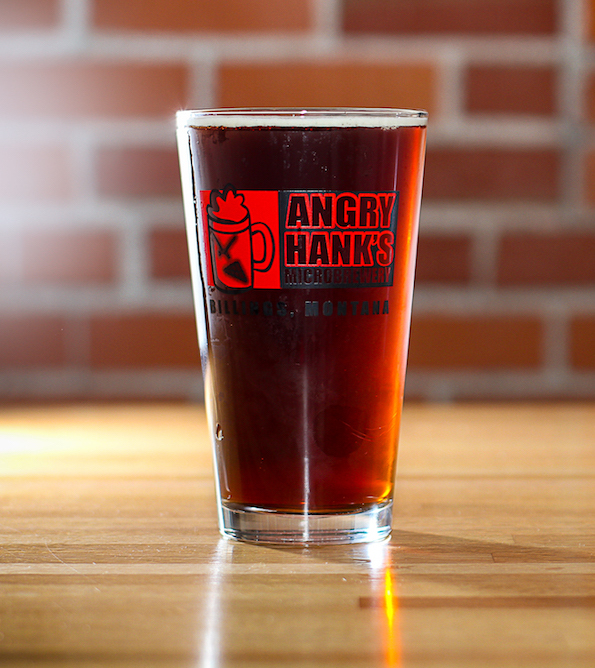 Deep red in color, this is a malty beer with bready toffee and caramel flavors. Low hop bitterness and low hop aroma round out the finish. 6% alcohol. Deep brown in color with a malty aroma. Hints of caramel, dark chocolate and coffee are reflected in the flavor. A moderate hop edge adds balance to this brown ale. 5% alcohol. A 90 shilling ale brewed using a traditional recipe and European malt. 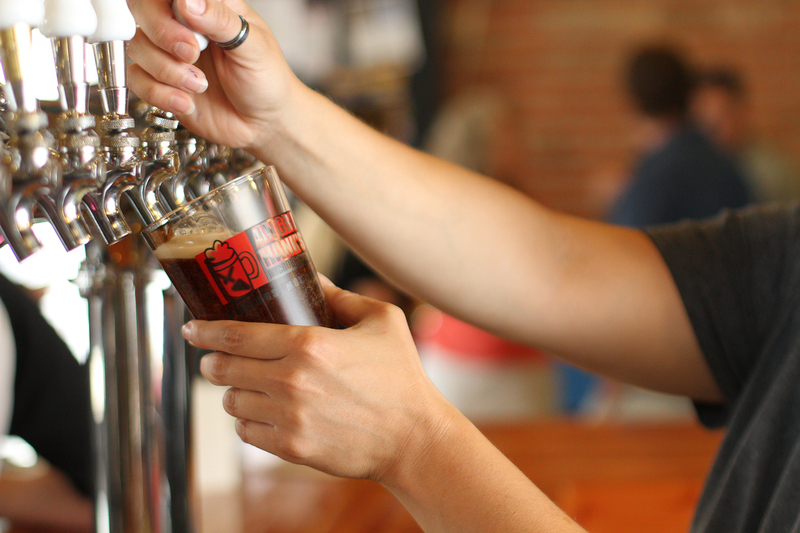 Look for biscuit and cracker flavors in this dark ruby red malty ale. Hop bitterness is moderate while hop aroma and flavors are low. 6.5% alcohol. On tap throughout the year, rotating with Dirty Girl. The yeast we use gives this beer a tart and refreshing flavor. This beer has a more assertive hop profile than most lager beers. It is light gold in color, great on a warm spring day. 5.6% alcohol. Out in early April through June. A throwback to 70s malt liquors with a classy spin, this brew has a light straw color, low hop aroma, and low bitterness. Careful, it’ll sneak up on you! 7.7% alcohol. On tap from June through August. A traditional German Oktoberfest lager beer. We import all the malt and hops from Germany. The flavor: malt, malt, malt. Beautiful orange hue in color with very low bitterness. 5.8% alcohol. Available Sept. 15 – Oct. 31. This dry Irish stout is barrel-aged using freshly emptied bourbon barrels. We give this one some time to age and absorb all that goodness before releasing it at Thanksgiving. 5%. November – December. A full-bodied amber bock made with German lager yeast strain, this beer is big. Rich malty flavors abound with subtle hop flavors in the background. 6.5% alcohol. On tap December – February. This imperial IPA is double trouble. It’s like Head Trauma on steroids. The beer is big, using bravo hops. 8.3% alcohol. Watch for this beer to make its first appearance in the spring. 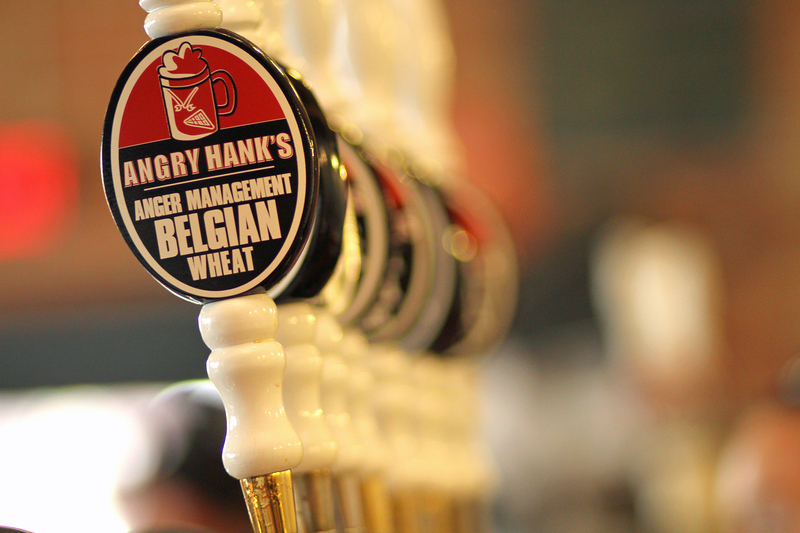 This dark wheat beer abounds with caramel and roasted malts, giving it a bready, nutty flavor. There is just enough bitterness to balance out the malt. 5.5% alcohol. On tap throughout the year, rotating with Frost Killer. Hank lost his mind on this summer shandy. Real lemonade is mixed with our blond ale and the result is pure sunshine and butterflies. 4.8% alcohol. Available June – August. Thick and dark brown, brewed with organic coffee from local coffee roasters. Smooth with great coffee taste. Mild bitterness. 5.3% alcohol. Watch for this brew in the spring and/or fall. Helles means “light” in German, but don’t let that fool you. The color might be light but the body, flavor, and alcohol content are big. Imported German malt is the backbone of this bock. 6.9% alcohol. On tap Mid October – Dec. 15. A dark, rich stout, we infuse this beer with cocoa nibs from Ecuador. Look for hints of dark chocolate and a sweet finish. MADE WITH LACTOSE. 5% alcohol. Out Nov. 25 – Jan. 1. A barrel aged stout, this tasty brew has light bourbon flavor with hints of oak and vanilla with a high bitterness. 8.4% alcohol. On tap typically in March. *Seasonal release dates subject to change. 24 hours notice required on all keg orders. To order, call (406) 252-3370 and specify size/beer/pickup date. Keg pickup starts at 2:30 PM. 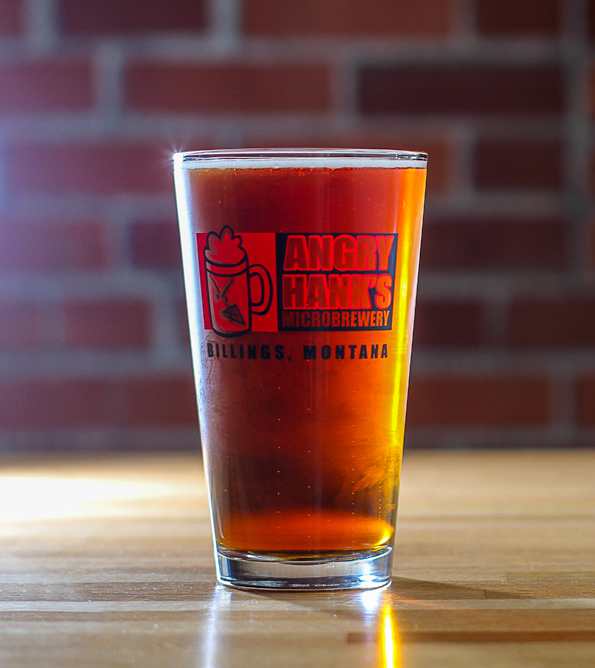 To order, fill out the below form or call the brewery at (406) 252-3370. Please allow 24 hours for order to be processed. Pickup begins at 2:30PM Monday through Saturday. 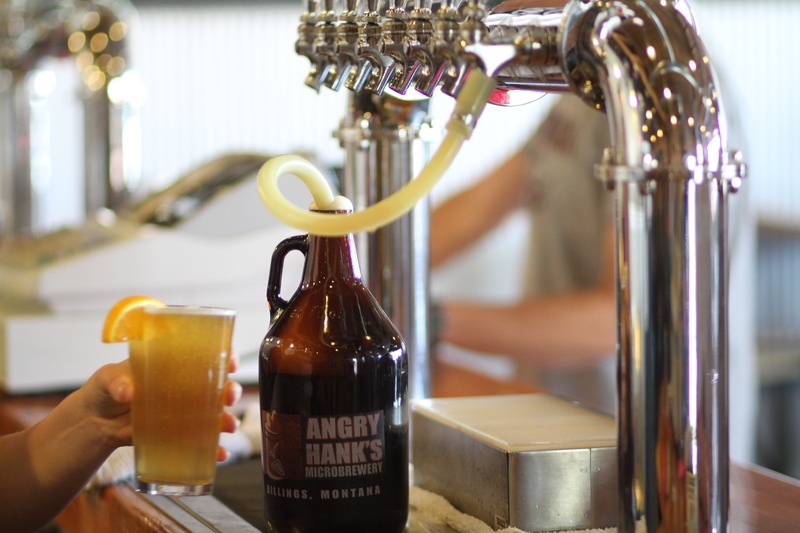 Growler fills: $12 (for 64 oz. glass jug and fill); $8 refills. Growler fills take place during brewery hours 4–8PM. Some seasonals may be a higher price. Available at the taproom only. Keychains, stickers, logo pint glasses also available. 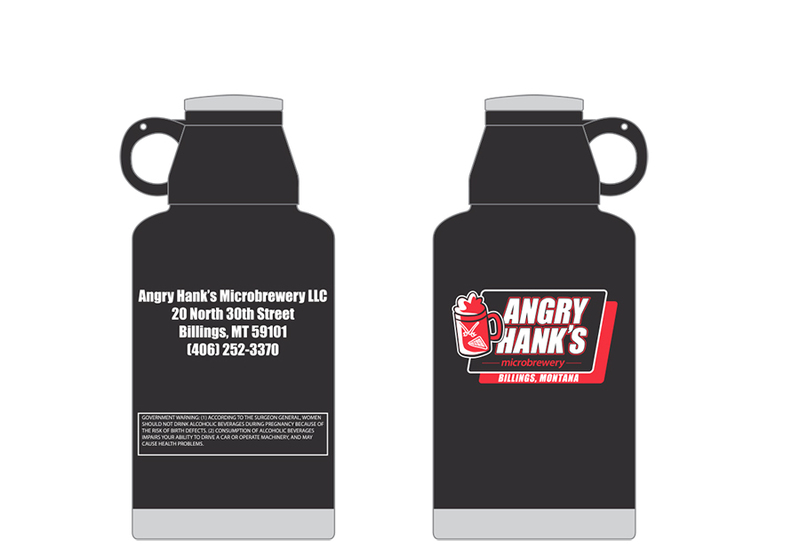 To order swag, call the brewery or use the contact form below. 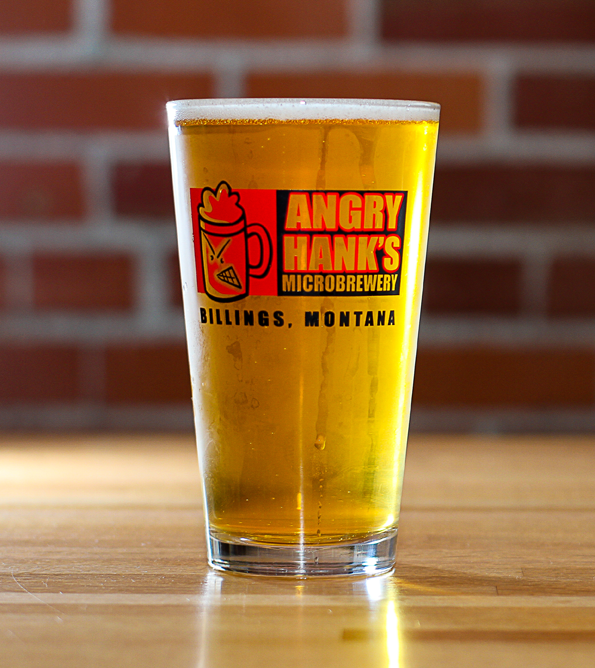 Brewed in Billings with Montana grain. © 2016, Angry Hanks. All Rights Reserved.